Leaky Gut is a poorly recognised but extremely common problem, and as such is rarely tested for. Essentially, it represents a hyperpermeable intestinal lining. In other words, larger than normal spaces develop between the cells of the gut wall, and bacteria, toxins and small particles of food leak out of the gut and into the body. It can masquerade as fatigue, anxiety, depression, digestive symptoms, weight problems, and other serious conditions… It’s been found in association with chronic diseases including: asthma, diabetes, autoimmune diseases, irritable bowel, psoriasis, cancer, and heart failure. Leaky Gut sounds a bit messy, but actually it isn’t at all. The gut should, indeed, be permeable to a certain degree to allow nutrients through. Ordinarily the large intestine acts like a one-way protective sieve that filters out certain food molecules and peptides. In the case of Leaky Gut, the one-way gate of the gut opens too wide, allowing through an increased number of peptide molecules and pathogens, which attract certain cells of the immune system called phagocytes, letting them pass through the gut wall. It Is the presence of these phagocytes that causes an inflammatory reaction in the gut wall. We liken it to sieving flour. If you are sieving flour for baking, you need a fine sieve that will allow the fine flour through and keep the lumps out. This is how the gut operates normally, it allows appropriate molecules of nutrients through, but stops larger molecules and pathogens getting through into the bloodstream. When the gut becomes too permeable, the effect is like trying to sieve flour with a colander – many more lumps get through. This equates to undigested molecules and particles of food, along with pathogens getting into the body and setting off an immune reaction. Such foreign bodies, circulating in the blood, will sensitise the immune system and often cause adverse reactions to food, showing up as either an allergy or intolerance. Many people suffer from leaky gut and do not realise it. A leaky gut can be caused by anything that damages the lining of the intestine – infectious microbes, such as bacteria and parasites, a Candida albicans overgrowth, allergies or even certain prescription drugs, such as antibiotics and particularly non-steroidal anti-inflammatory drugs or NSAIDs. Damage to the gut is a phenomenon that is a well known and studied side effect of NSAIDs. Even single doses of aspirin or of indomethacin increase cellular permeability, in part by inhibiting the synthesis of the protective fatty acid prostaglandin. Longterm exposure to NSAIDs can leave the gut highly inflamed and highly permeable. Whatever causes leaky gut, once the condition has developed, it can be self- perpetuating. The relationship between food sensitivities and the leaky gut is both complex and circular. In experimental trials reported in Allergy in 1989, children and adults with eczema, urticaria or asthma triggered by food allergy show that they have higher gut permeability than those who don’t have these conditions. This indicates that allergies and food sensitivities may be caused by an over permeable gut. Interestingly, gut permeability also sharply increases whenever allergic subjects are exposed to allergenic foods. In all probability what this indicates is that an increase in intestinal permeability is both important as a cause of food allergy and also the result of food allergy. When the gut is inflamed, it does not absorb nutrients and foods properly and so fatigue and bloating can occur. As mentioned previously, when large food particles are absorbed there is the creation of food allergies and new symptoms with target organs, such as arthritis or fibromyalgia. 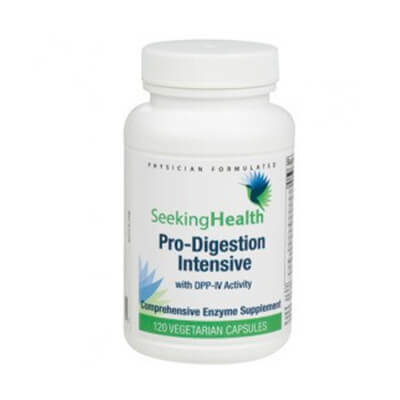 When the gut is inflamed the carrier proteins are damaged so nutrient deficiencies occur which can also cause symptoms, such as magnesium deficiency induced muscle spasm or copper deficiency induced high cholesterol. Likewise, when the detox pathways that line the gut are compromised, chemical sensitivity can arise. Furthermore, the leakage of toxins overburdens the liver so that the body is less able to handle everyday chemicals. 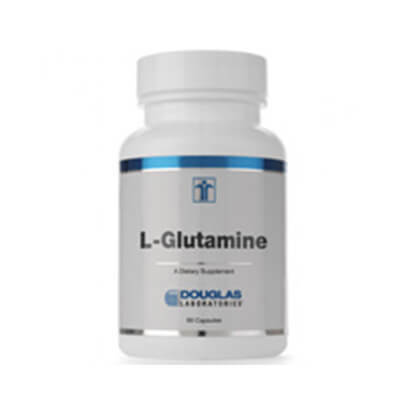 When the gut lining is inflamed the protective coating of lgA (immunoglobulin A) is adversely affected and the body is not able to ward off protozoa, bacteria, viruses and yeasts like candida. 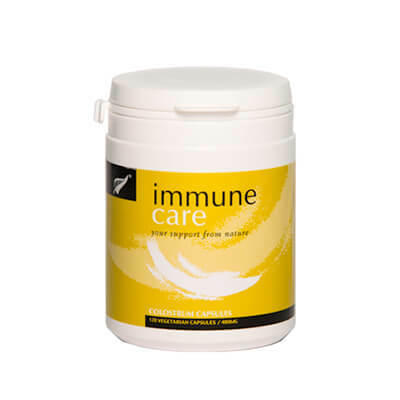 When the intestinal lining is inflamed, bacteria and yeasts are able to translocate. This means that they are able to pass from the gut lumen or cavity into the bloodstream and set up infection elsewhere in the body. The worst symptom is the formation of antibodies. Sometimes these leak across and look similar to antigens on our own tissues. Consequently, when an antibody is made to attack it, it also attacks our tissue. This may be one way that autoimmune diseases start. Rheumatoid arthritis, lupus, multiple sclerosis, thyroiditis and many others are members of this ever-growing category of ‘incurable’ diseases.